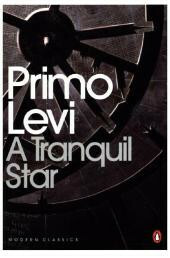 Primo Levi was one of the most astonishing voices to emerge from the twentieth century. This landmark selection of his short stories opens up a world of wonder, love, cruelty and curious twists of fate, where nothing is as it seems. In 'The Fugitive' an office worker composes the most beautiful poem ever with unforeseen consequences, while 'Magic Paint' sees a group of researchers develop a paint that mysteriously protects them from misfortune. 'Gladiators' and 'The Knall' are chilling explorations of mass violence, and in 'The Tranquil Star' a simple story of stargazing becomes a meditation on language, imagination and infinity.